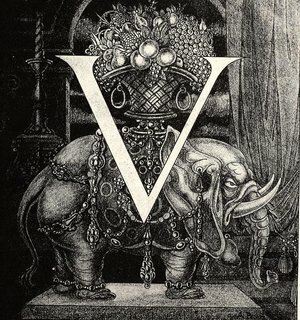 Volupté is an MLA-indexed online journal of Decadence from antiquity to the present. It appears each year in Spring and Autumn, and brings together in themed issues creative and critical approaches to the fast-growing field of Decadence studies. The aim of Volupté is to enhance and broaden the scope of Decadence studies and stimulate discussion in relation to literary Decadence and other forms of discourse, including Philosophy, Psychology, Religion, and Science. Peer-reviewed essays and book reviews will be published alongside new translations, poetry, short fiction, and visual art. Based at Goldsmiths, University of London,Volupté is dedicated to promoting cutting-edge work by creative writers and artists and publishing the best research on Decadence by early career and established scholars. 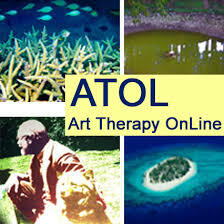 Art Therapy Online (ATOL) is an international, peer-reviewed, open access and index linked journal that addresses theory, practice and research in relation to art therapy as it is known and understood around the world. The journal was founded in 2009 by a consortium of independent art therapists seeking to build international alliances and areas of discussion in the field. The journal is hosted by the Library at Goldsmiths, University of London. 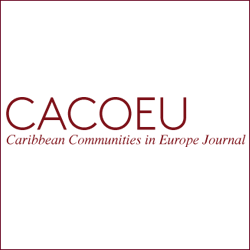 Caribbean Communities in Europe (CACOEU) was created in 2000 by a group of academics and community workers to create a community across the growing number of people with roots in the Caribbean who are living, working and studying in Europe. The aim is to share and preserve knowledge, culture and tradition for current and future generations. It creates a bridge between the ”˜elders”™ and the young people of the community, including those children born in Europe of mixed parentage who may become cut off from their Caribbean culture. CACOEU supports the positive development of the Caribbean Community in Europe by creating opportunities for people to share knowledge and develop new and existing skills. These include projects, events, workshops and seminars from which papers are donated for publication. CACOEU has strong links with and support from Goldsmiths University of London. 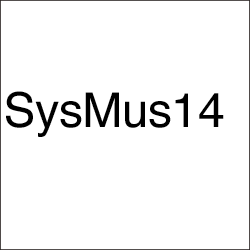 The Music, Mind and Brain group at Goldsmiths, University of London hosted the annual International Conference of Students of Systematic Musicology (SysMus14) from 18-20th September 2014. This conference was organised in association with SEMPRE.The SysMus conferences are annual events, designed and organised by students for students under the supervision of experienced researchers in the field. The conferences aim to allow advanced students in the field of systematic musicology – particularly those studying for PhDs or completing Masters degrees – to meet and discuss their research. Systematic musicology embraces an extremely diverse mix of epistemologies and methodologies from the sciences and humanities aimed at studying the phenomenon of music in its general rather than specific manifestations. The scientific side is primarily empirical and data-oriented; it comprises empirical psychology and sociology, acoustics, physiology, neurosciences, cognitive sciences, and computing and technology. The humanities side of systematic musicology involves disciplines and paradigms such as philosophical aesthetics, theoretical sociology, semiotics, hermeneutics, music criticism, and cultural and gender studies. The conference aims to bring together students from many areas of study- from music, philosophy, and sociology to psychology, computing, and neuroscience- to facilitate interdisciplinary discussion and collaborations. The new Leonardo Electronic Almanac, with Editor in Chief Lanfranco Aceti, is a collaborative effort between The MIT Press; Leonardo/ISAST; Goldsmiths, University of London; and New York University, Steinhardt School of Culture, Education, and Human Development. Established in 1993, Leonardo Electronic Almanac, a peer reviewed journal (ISSN No: 1071-4391), is the electronic arm of the pioneer art journal, Leonardo – Journal of Art, Science & Technology. LEA Editorial Board is composed of internationally recognized academics who are experts in their respective fields. Lanfranco Aceti, Editor in Chief, and Ozden Sahin the Co-Editor envisage the Leonardo Electronic Almanac as an incubator that develops research projects, conferences and exhibition that are later on published in a variety of formats: e.g. catalogs, books and magazine issues in collaboration with OCR. 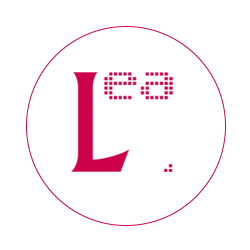 For over a decade, LEA thrived as an international peer reviewed electronic journal and web archive covering the interaction of the arts, sciences, and technology. The new LEA will emphasize publication of recent work and critical discussion on topics of current relevance. LEA encourages contributions from scholars, artists, scientists, educators and developers of new technological resources in the fine arts and media arts. Content will include profiles of media arts facilities and projects, insights of artists using new media and feature articles comprising theoretical and technical perspectives. A curated gallery of contemporary fine art practice in collaboration with OCR will also feature selected exhibitions and LEA will publish special issues on a variety of topics related to contemporary art and its complex entanglements with the complexity of social, technological and scientific thought.